Greg is the founder of Oneness Entertainment and the Miss Oneness Beauty Pageant in Nicaragua. He is the National Franchise Director for Miss Oneness Trinidad and Tobago, Miss Princess of The World, Miss Model of The World, Miss Global, Miss Globe, Miss Panamerican International and the Miss Global City Beauty pageants. 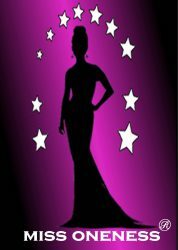 Mr. Lewin’s objective in the pageant industry is to bring awareness to those in need. Therefore, his chosen queens identify, work and complete a social project as part of giving back to their communities. He is also a promoter of cultural events and has brought well known international artists to Nicaragua. Mr. Lewin was also instrumental in the incorporation of the sister company “Oneness Entertainment Trinidad and Tobago” and the “Miss Oneness Beauty Pageant Trinidad and Tobago”. Greg is also the Vice President of UCP Inc. (Uniting Coast People) a non profit 501c3 organization. UCP was created to assist the underprivileged population on the Caribbean Coast of Nicaragua. UCP is resolute to fulfill its mission through tireless efforts, relentless determination, and conscientious work. In his free time he enjoys traveling and writing. Mr. Lewin is an avid supporter for charitable causes and has assisted in granting scholarship and providing medical relief to those in need. Vanessa is no stranger to the fashion and beauty industry, having been a former model and T&T delegate for a number of beauty pageants internationally. She is the President of her own company Oneness Entertainment T&T Limited, and is also the former National Franchise Director and Pageant Producer of the Miss Oneness T&T Beauty Pageant for a number of international pageants, namely Miss Earth (Philippines), Miss Asia Pacific World (South Korea) and Best Model of the Universe (Panama). She is also the Pageant Coordinator of the Miss Oneness Pageant of Nicaragua. She is also the former National Director for Miss World Trinidad and Tobago from 2014 – 2017. Vanessa is a full time Mum, a proud Rotarian and supporter/sponsor of the Presentation College, San Fernando Interact and Inventors Clubs, Save the Girl Child Foundation in India and Habitat for Humanity. She also served as the President of the Parents Council of Presentation College, San Fernando. She also supports the empowerment of women, is a firm advocate of animal rights and supporter of the arts, culture and is humanitarian at heart. Born in Ocotal Nueva Segovia, Nicaragua, 26 years old Anielka Espino Lopez is the only child of Ivan Espino and Mirian Lopez. Anielka has a degree in Business Communication and Public Relations and is currently pursuing her pilot license. Anielka is an entrepreneur, founder and owner of BuenaVidaNicaragua, a line of natural beauty product made from organic coconut oil. Anielka is also a former Miss Oneness Beauty Queen who represented Nicaragua in 2011 at the prestigious Miss Princess of the World beauty pageant in Prague, Czech Republic. Kathiel Lampson was born with modeling embedded deep within her soul and possesses one of the best “catwalk” presentation in Nicaragua. She is the only beauty queen from the Caribbean coast of Nicaragua to win an international title, the “Miss Princess of The World 2009” and placed Top 5 at the “Miss Global International” Jamaica in 2007 and copping second place in “Best National Costume” which she designed herself. She also placed Top 10 at the “Miss Caribbean World” in Tortola, BVI in 2008. Kathiel holds a Bachelor’s Degree in System Engineering. In her spare time she loves to read and mentor other young ladies who has an avid passion for pageantry. She is also a sport enthusiast and is a humanitarian at heart always willing to help someone in need. Edgar Palacios Ortiz has been practicing law for 18 years, primarily in the defense and promotion of human rights. He has held various positions in both State Institutions and non-governmental organizations.